This year, the ASÍ Art Museum is again mustering a cultural expedition featuring an exhibition of works by Sigurður Guðjónsson, this time north to eastern Húnavatnssýsla, the historic locale of the Heath-Slayings Saga, to the farm called Kleifar, on the Blanda river facing the island Hrútey. It now falls to Sigurður Guðjónsson to grapple with the Kleifar outbuildings for works that captured guests’ undivided attention last fall in the St. Joseph’s Hospital chapel in Hafnarfjörður. 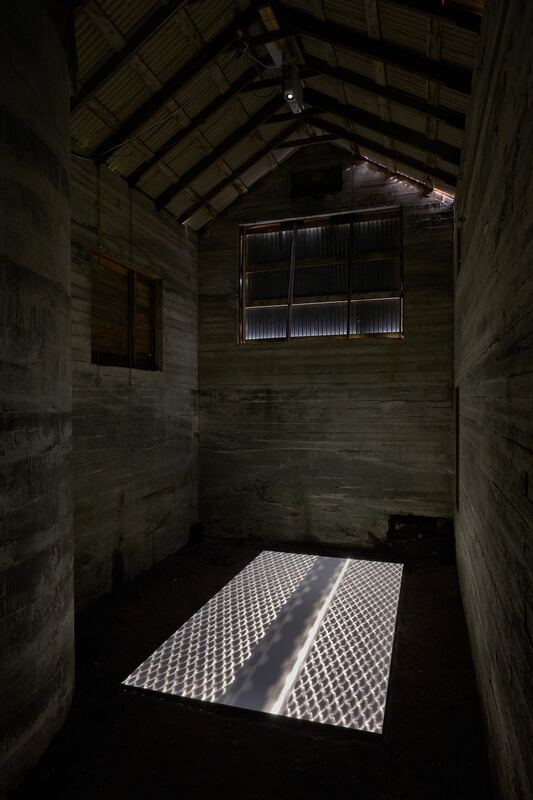 Fuser – a work titled for the printer assembly that fixes toner on paper with extreme heat, making prints with new technology – will be installed in the barn, tallest unit of the outbuildings. 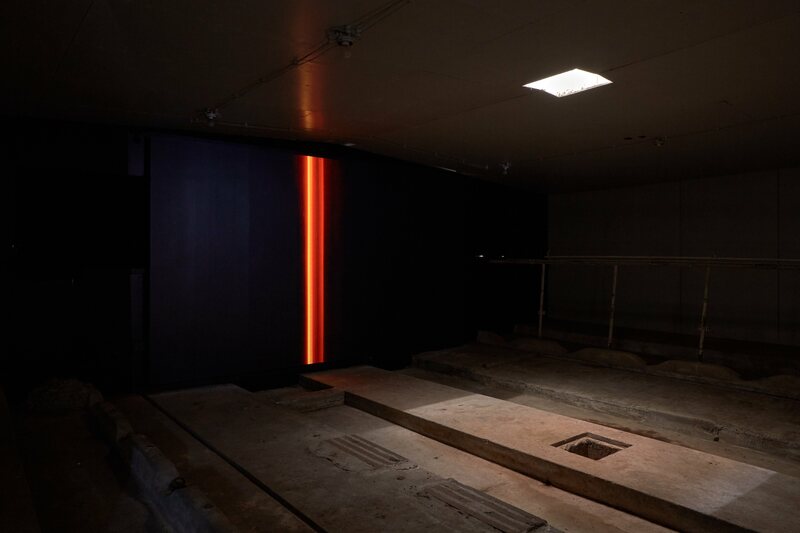 The cowshed, widest of the three outbuildings, will be the site for Scanner, a work based on the laser of a scanner – a photocopier – as it creeps across the glass plate from below, under the smooth transparent surface of the device. 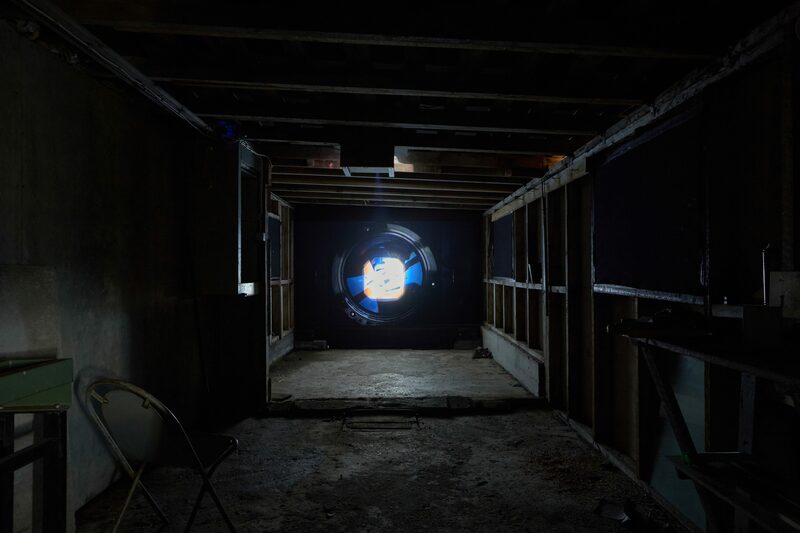 The shed, smallest in the set of outbuildings, will house Mirror Projector – a recording of the lens of a commonplace overhead projector like those found in most schools in the land before the days of digital projection. Thus SIgurður’s work in his exhibition INLIGHT is an ode of sorts to the equipment so proximate to him and other makers of images as to correspond to instruments and sound equipment for musicians and composers. These are the tools essential to the contemporary artist, just as tractors and mowers are to the farmer. But that raises questions about the presentation of these works at Kleifar, works that viewers enjoyed last year in the chapel of the defunct St. Joseph’s Hospital in Hafnarfjörður. The works may be the same, but the outcome is far different. Sigurður’s way of presenting his video works is more comparable to performance than to installation. A new, dissimilar space shifts the meaning of these works; they take on new life and carry a very different import in the lee of Hrútey than in the hospital prayer-room. Staging inevitably becomes part of the work. Nowhere does video art better prove its advantages over other visual-art media than in just such circumstances, and this artist knows how to play them like a good instrumentalist. What evoked gloom, melancholy, and eeriness in the hospital chapel and morgue will likely be reborn as a harbinger of spring in the Kleifar outbuildings, in the varied natural setting of the works and their frame. Yet another point in favor of the nascent art of video lies in the medium’s ethereality and portability. Compared to other arts, visual art has often paid dearly for unwieldiness. Long-distance transport of cumbersome sculptures and paintings inhibits dispersal of said art objects. Video art places people around the globe on an equal footing. Blönduós becomes as central as Hafnarfjörður. Thus visual art has finally gained the versatility that until now seemed the privilege of non-concrete arts such as literature and music. Sigurður Guðjónsson understands this revolution and puts it to full use.